For many who ride, motorcycles are not just a means of transportation, but also a lifestyle. A motorcycle lifestyle includes riding with friends, meeting riding buddies for drinks (called “teh tarik sessions or TTS in Malaysia), and of course, riding to some destination far away, usually known as touring. Malaysians tour on every type of motorcycle, including mopeds and scooters, but there is no substitute for touring on purpose-built motorcycles as they cater for comfort, speed, safety and luggage-carrying capacity. We have covered the subject on “Essential Items for Touring” recently, so let us take a look at ten motorcycles that make touring even more interesting. 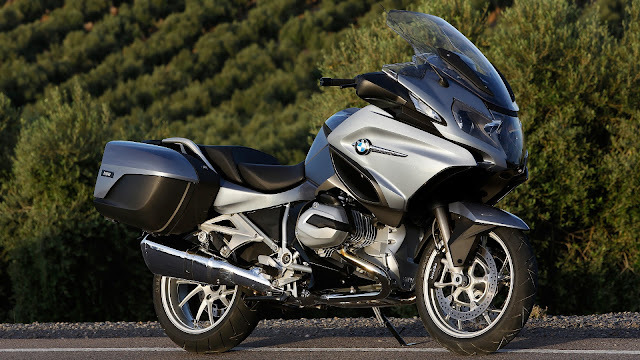 The BMW R 1200 GS is the descendant of the iconic 1980 R80G/S which pioneered the whole adventure-touring segment. 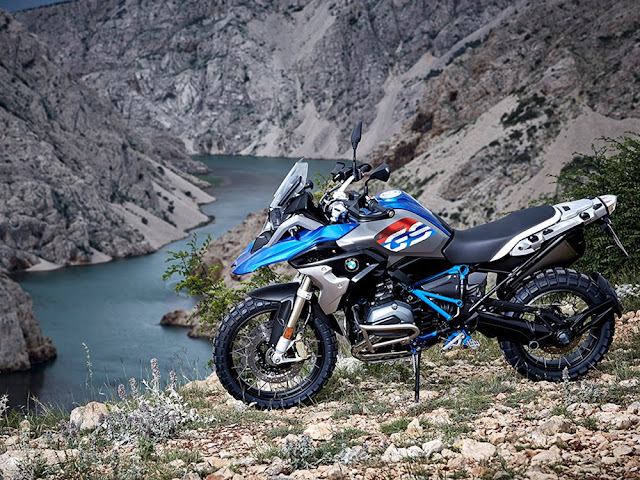 While it looks large and ungainly, the R 1200 GS is a bike which weight disappears when you get going. It is equipped with the latest technologies, such a linked ABS, finely tuned ride modes, semi-active suspension, and more, to provide comfort, safety and go-anywhere capabilities (GS stands for Gelände/Straße meaning off-road/road), besides carrying any load you put on it. The R 1200 GS is simply the world’s best-selling dual-sport motorcycle. 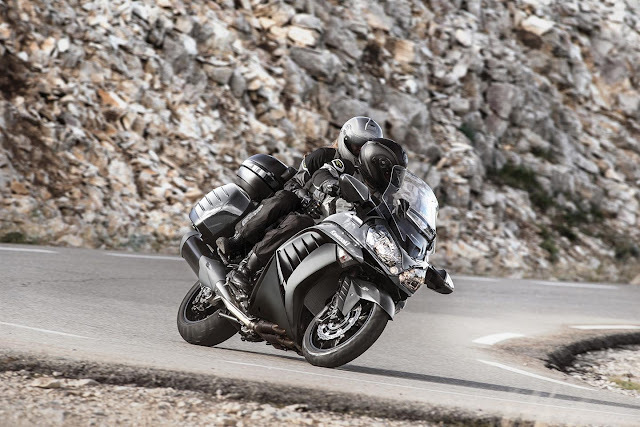 The BMW R 1200 RT is a large-sized sport-tourer built around that wonderful Boxer engine which powers the R 1200 GS. The difference is that the RT is fully for the road. Along with BMW’s high-quality standards, the RT brings unparalleled creature comforts, such as the large bodywork for wind protection and a sound system. The panniers are voluminous and the suspension insulates the occupants from road bumps very effectively. 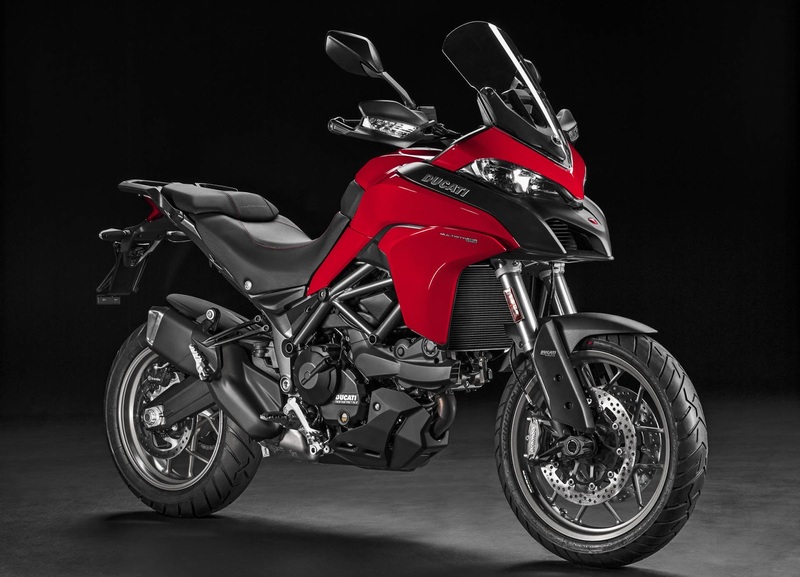 When Ducati revamped its lineup to include more affordable and accessible bikes in 2017, the baby Multistrada was the result, among a few others. The 937cc engine is shared with the Hypermotard and new Supersport. To keep costs down and benefit simplicity, features such as Cornering ABS, Cornering Lights, and Skyhook semi-active suspension and single-sided swingarm found on the Multistrada 1260 and 1200 were dropped. The omission of those components did not impede on the enjoyment of riding the bike; instead, it could be argued that control is now fully in the rider’s hands. 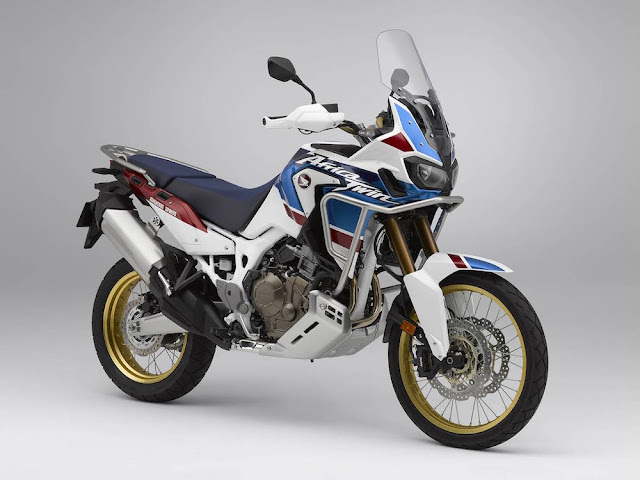 The Africa Twin name is hallowed among dual-sport fans since the 1980s and 1990s. Honda ceased production of the bike in 2004 and it made a comeback after 12 years. The new Africa Twin may look tall but it is easy to ride both on the road and off-road, in actual fact. Honda offers the bike with the conventional manual transmission and ingenious DCT (Dual Clutch Transmission) options. 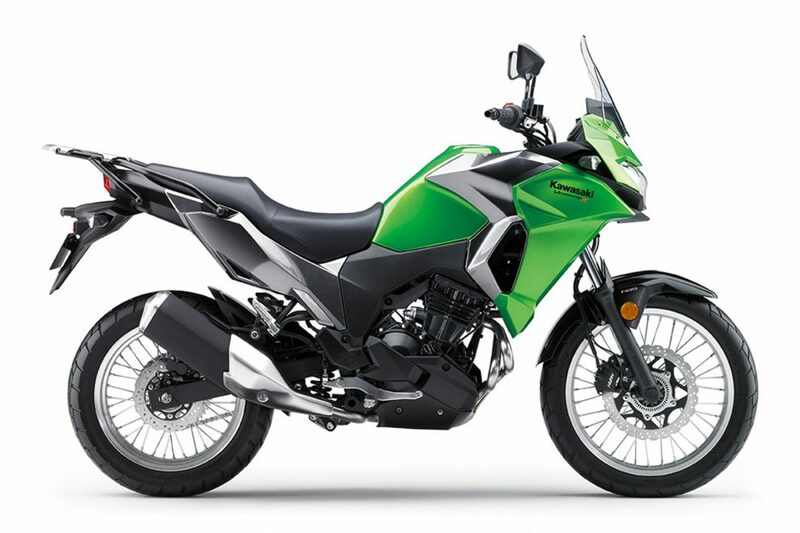 The Versys-X represents a shift to affordable and simpler dual-purpose bikes for the mass market (there are 250cc and 300cc versions). 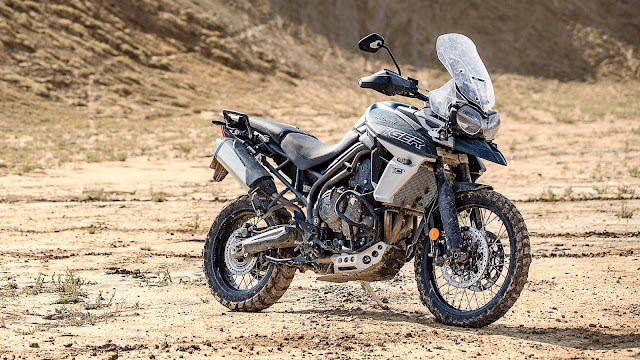 Supremely lightweight, peppy engine and enthusiastically easy to chuck around, it demonstrates how one does not need to dish out lots dosh to get into adventure riding. Plenty of room for luggage too. Introduced in 2012, the 1400GTR (Concourse in the American market) has captured the hearts of touring riders the world over, including Malaysia. The bike’s large fairing protects the rider and passenger from wind and the elements. The large seats are well-padded, and those panniers could fit lots of stuff. The GTR’s 1352cc power-generator is shared with the ZX-14 superbike. 158 bhp and 136 Nm have power-hungry riders rub their palms together in glee. 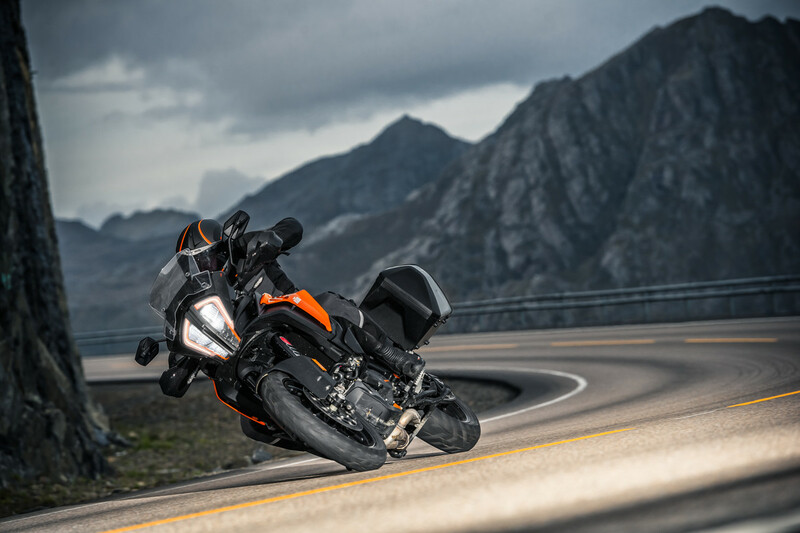 KTM threw everything into the 1290 Super Adventure S in order to better the previous 1290 Super Adventure T. Thus, the 1290 Super Adventure S is equipped with every new technology you can shake a stick at. Make that a large stick. Aggressive new headlamp, 6.5-inch colour LCD screen with Bluetooth, keyless ignition, WP Semi-Active suspension, acutely tuned ride modes, lean angle sensitive ABS and traction control, Hill Hold Control, Motor Slip Regulation, a quickshifter that works both ways, cornering lights, assist and slip clutch, 160 bhp, 140 NM and a partridge in a pear tree. Alright, who was the wise guy who swapped the engine for a nuclear fusion reactor when we were not looking? When KTM decided to build a sport-tourer, it wanted to emphasize its “Ready to Race” mantra. So, it was only natural that they sourced the engine from the mental 1290 Super Duke R super-naked. 150 bhp? Pfft, let’s make it 173 bhp and 144 Nm of torque. Aim it towards your destination and you’re there even before you realize it. 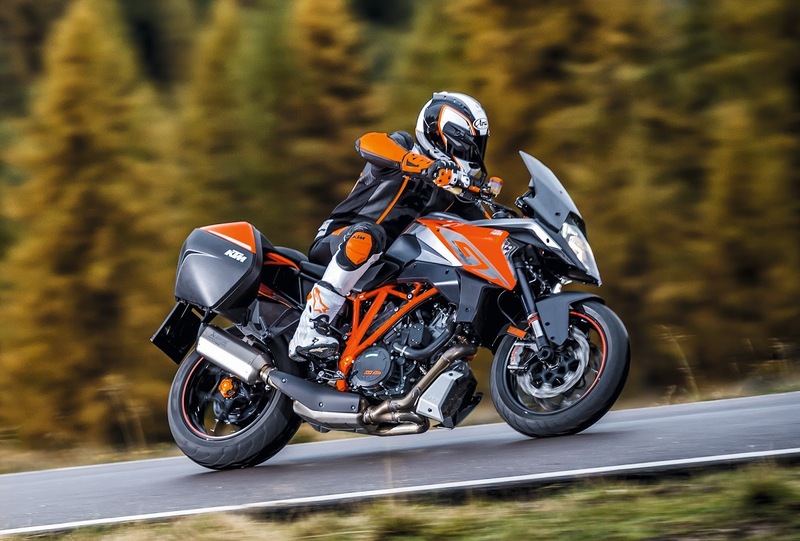 But it isn’t just about speed on the 1290 Super Duke GT. It is just as docile as a newborn kitten when you decide to go slow. Great fueling, great WP Semi-Active suspension, great seating position, it’s the right bike for you if you’re the sort who likes the sensation of a plane flying too low. Triumph hit the mother lode with the previous Tiger 800 and sold every last one produced. Many thought the bike could not be improved any more, but Triumph managed to do so and set a whole new standard with the new model. The Tiger 800 has great balance and poise, in addition to a super linear throttle response, adding up to a great deal of rider confidence. New windscreen and seats improve comfort even more. The WP suspension is so well-tuned that most riders could leave it in the factory settings. The new 5-inch LCD is so easy to understand and use. Traction control strategies were also revised and virtually transparent in any mode. Add practicality to it and you have a winning formula. Choose from six different trims. 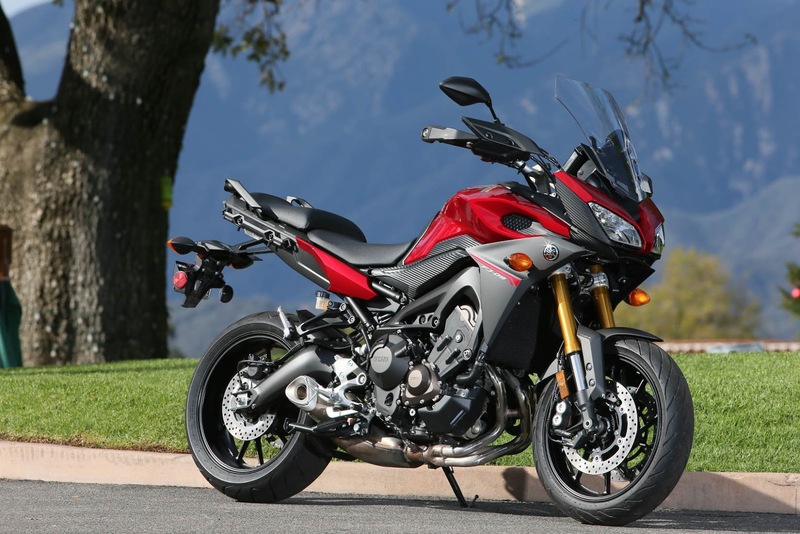 Based on the “naughty” MT-09 naked bike, the Tracer is fast. Being light also means that it is quick to maneuver, and did we say fast already? But unlike the naked MT-09, the Tracer has been equipped for touring: A sharp wedged upper fairing and handguards slice through the air, large LCD screen (lifted from the Super Tenere) provides the necessary fuel data, longer and flatter seats, longer travel suspension and mounting points for hard luggage. There are also three power modes. Yamaha has kept the price low and that has made it very popular. Image credit to the respective manufacturers.